Telkom has put up a reward of R500 000 for information leading to the arrest and prosecution of saboteurs who attacked its network on Wednesday. The company said on Thursday morning that a number of its facilities around the country were targeted in a “series of acts of sabotage”. Facilities in Midrand, Pretoria West, Silverton, Durban, Pinetown, Pietermaritzburg, Makhado and Messina were sabotaged, it said. Telkom hinted but did not say directly that striking Communication Workers Union (CWU) members might behind the attacks. “At some sites, specialist equipment was required to access the fibre cables and the criminals were clearly using equipment that is not commonly available,” said O’Sullivan. The police, with support of additional investigators and Telkom’s own forensics team, are pursuing a “number of good leads” to identify the saboteurs, she said. 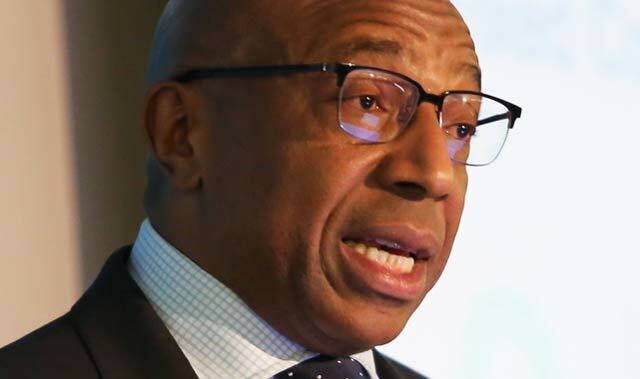 Telkom CEO Sipho Maseko said the company’s offer of a R500 000 reward will be paid to anyone – including Telkom employees – who can supply pertinent information about the attacks on its network. They should call Telkom’s crime reporting line on 0800 124 000. The attacks come just days after CWU members blocked access to Telkom facilities. Employees were barred from entering the Telkom campus in Centurion and were intimidated and threatened, the company said in the statement. “Telkom secured an urgent interim order to interdict the union from illegal activities such as blockading entrances to facilities and offices and intimidating staff,” it said. I would advise those in Telkom who might be involved in this type of deliberate damage to public property that as far as I know the Sabotage Act from the previous government is still on the law books and carries some pretty savage penalties. You are looking at prison sentences of decades here people, not a slap on the wrist! Whoever is complicit in this destructive vandalism is dicing with their futures and that of their families as well. If you don’t like what you are earning at Telkom then RESIGN and seek a better job, do not engage in destructive policies that will turn the public against you. I would think the union leaders would be taking a stand against this destructive behavior actually. So, when do we hear condemnation from the CWU?